A Stillman education transforms concepts into practice. Students sharpen their skills in our hands-on learning labs: Market Research Center, Trading Room and Sports Poll. They participate in internships, case competitions, networking events and our venture fund competition. Our location and alumni connections provide opportunities with the most prominent employers in the world. Programs include a concentration in sport management and certificate in entrepreneurial studies (both undergraduate and MBA) and a market research certificate (undergraduate). Stillman has AACSB business and accounting accreditation. To apply to Seton Hall's Stillman School of Business, prospective graduate students must submit transcripts from their undergraduate studies, GMAT scores, a resume of work experience and credentials, a two-paragraph personal statement, and a letter of recommendation. Every applicant is evaluated individually; however, Seton Hall generally requires ...To apply to Seton Hall's Stillman School of Business, prospective graduate students must submit transcripts from their undergraduate studies, GMAT scores, a resume of work experience and credentials, a two-paragraph personal statement, and a letter of recommendation. 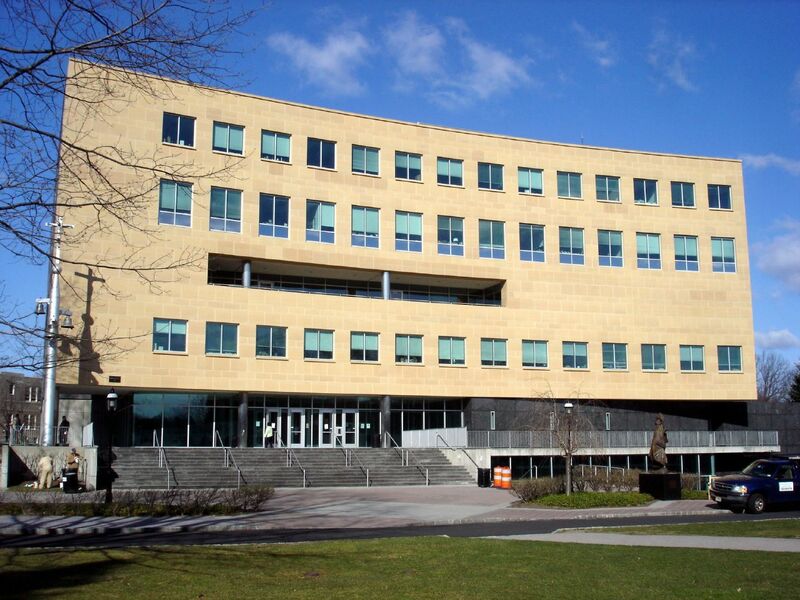 Every applicant is evaluated individually; however, Seton Hall generally requires admits to have a minimum undergraduate GPA of 3.0 on a 4.0 scale, and a minimum GMAT score of 500. Applications are reviewed and admissions decisions are rendered on a rolling basis. Located on a “very safe and clean” campus “just 10 miles from New York City,” Seton Hall University offers a pleasant environment with excellent facilities. The MBA program is largely part-time, so most students “drive in for class and leave” directly afterwards. However, others tell us that they “love spending time on the green terrace anytime between or after classes,” or often “grab food at the dining hall/food court, which has a diverse selection of restaurants.” Housed in Jubilee Hall—“the new business building with numerous resources inside it for class”—business students enjoy a comfortable and modern facility, with “state-of-the art” resources, wireless Internet, and web-based class­room technology.The largely part-time student population can “create difficulties in creating and sustain­ing clubs on the school campus;” however, the upshot is that you get a “great mix of industry experience among students” which contributes to class discussion and “creates a stimulating learning environment.” Most students have work experience before enter­ing the program, but “The age range and experience is dramatic—from fifth years to [those seeking] career transitions, as well as dual-degree students from the Whitehead School of Diplomacy.” Despite their differences, “Everyone is eager to learn and help out the others around them,” and, in general, group work goes smoothly and everyone pulls their weight. The Seton Hall University Career Center assists both undergraduate and graduate stu­dents with their job search through career assessment and career counseling, mock inter­views, online job boards, and networking events. For MBA candidates, the Career Center maintains several counselors who are specially designated to help graduate business stu­dents find a job or internship. While many Seton Hall students are already working when they enter the program, they say, “The school has been working towards provid­ing more support for career transition, such as networking events and career fairs.” Seton Hall alumni work at a wide range of companies, including Johnson & Johnson, Deloitte, Ernst & Young, Merrill Lynch, New York Life Insurance Company, Booz Allen Hamilton, New Jersey Nets, New York Mets, New York Yankees, Madison Square Garden, Masterfoods USA, Mercedes-Benz, Prudential Financial, PricewaterhouseCoopers, and Tiffany & Co.
Graduate Students have the opportunity to visit other countries by participating in one of the many trips abroad that are offered as part of the M.B.A. International Business programs. Students register for 10 day international trips as if they were traditional 3 credit graduate courses. In recent years students have traveled to the following countries: Italy, Ireland, China, Poland, Czechoslovakia, France, Costa Rica, Cuba and Spain and visited the Shanghai Institution of Foreign Trade and the Macao Polytechnic Institute. David B. Gerstein - President Thermwell Products Co., Inc.
Want more info about Seton Hall University, Stillman School of Business Part Time MBA? Get free advice from education experts and Noodle community members.